This statistic shows the percentage of U.S. households without any home internet connection due to it being too expensive, sorted by income. 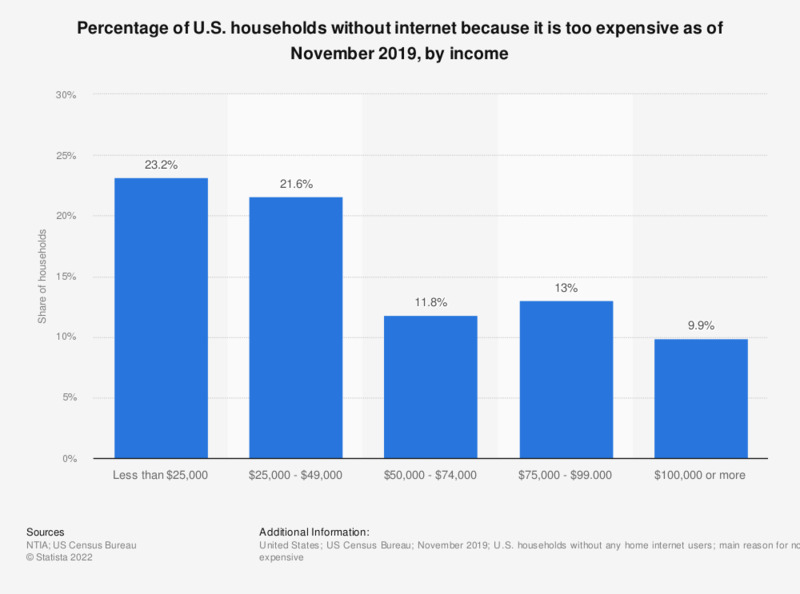 As of November 2017, 25.4 percent of households with an income of less than 25,000 U.S. dollars without internet did not have an online connection because it was too expensive. The national average of households not going online at home because it was too expensive was 21.2 percent.